A warrant has been issued for DeSean Farley who is believed to be the man who shot and killed a Hayes subject at Willbrian apartments on Saturday, July 12th. Farley is considered to be armed and dangerous. 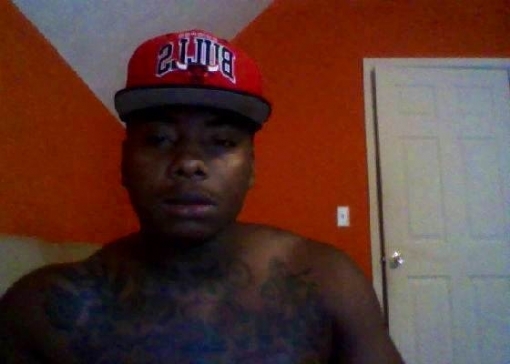 He is a Black male, age 22, 5'9" and 190 lbs. with multiple tattoos on chest and arms. Detective W. G. Pannell is the investigating officer. PERSON OF INTEREST IN CHECK FRAUD SCHEME IN KANAWHA COUNTY AND RALEIGH COUNTY, WV. Seeking identity of white male check fraud subject who has cashed more than 260 counterfeit checks at Kroger stores in Kanawha County and Raleigh County (Beckley Crossing and Harper Road locations). Uses aliases of Arnold Thomas, Arnold Lee Thomas, Lee Thomas, Jr., and Al Thomas on checks. Checks are mostly for payment of fuel and cigarettes, checks allegedly issued by Suntrust Bank, Bank of America, Ally Bank and Pioneer Bank. If you know the identity of this person, contact Crime Stoppers @ 304-255-7867 or leave a tip on this website. Beckley Police are searching for a man considered to be armed and dangerous. 25-year-old Nicholas Jamar Johnson is wanted in connection with shots fired on 3rd Street. That happened on Saturday night, April 8, 2017. Johnson is wanted on six felony counts of Wanton Endangerment and is believed to be in the Beckley area. He is 5-feet 10-inches tall and weighs 160-pounds. He has black hair and brown eyes. Anyone with information on his location is asked to contact the Beckley Police Department at 304-256-1708. Anonymous tips can also be left atCrimeStoppersWV.com or by calling 304-255-STOP (7867). The P3 Tips App can be used to submit information from your phone or mobile device.